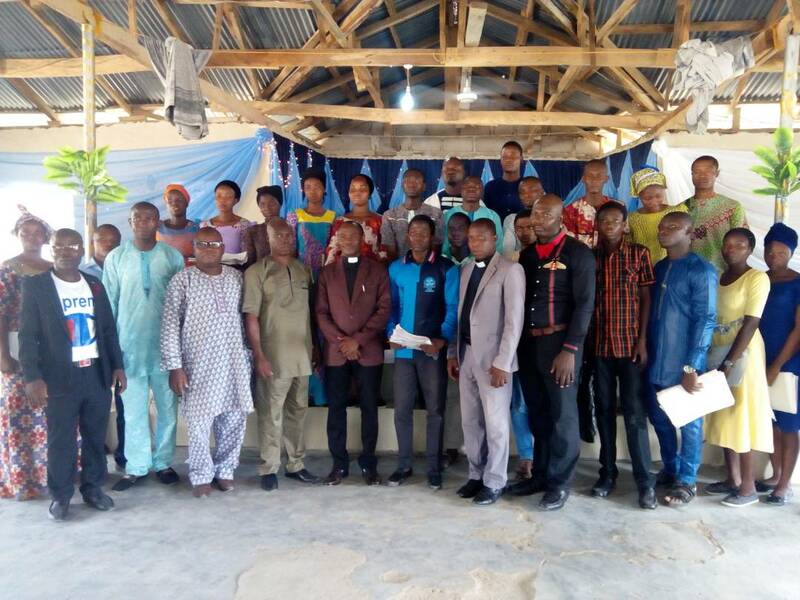 Christ Apostolic Church Youth Fellowship (CACYOF), Osun State Polytechnic, Ire on Sunday 27th of May, 2018 celebrated her 21st anniversary. The colourful celebration had the Youth Officer of CAC Worldwide, Pastor Sam Gbuyiro in attendance. While preaching on the topic "The End is Here," Pastor Gbuyiro said that it is an established fact as presented by Christ and His Prophets that the end is near as it is being confirmed daily through strange events and mysterious signs. He noted that in the light of this, we are meant to face the reality of the nearness of the end. According to the Youth Officer, deception wars, famines and pestilences, ruthless persecution against God's people, multiplication of sin and lawlessness are part of the signs of the second coming of Christ. "We are not to be intimidated by these sings since we have been given some measure of grace to stand for Christ without compromise, to abide in Christ the vine, to continue in the journey of faith, to occupy with the kingdom business and to finish strong," he said.